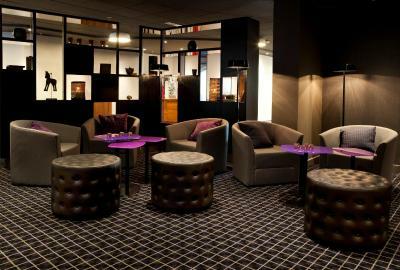 Lock in a great price for Radisson Blu Royal Garden Hotel, Trondheim – rated 8.3 by recent guests! Everything perfect! Big bedroom, clean, nice view, location. Great breakfast. The hotel is beautiful!! The staff were all friendly and helpful. The location, close to the train station and central town. Loved the complimentary upgrade to a junior suite with a lovely view of the fjord. 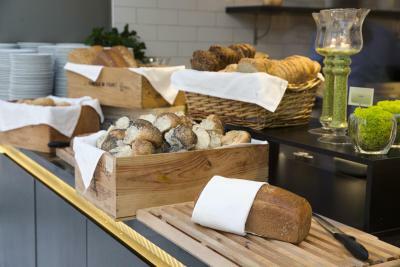 The breakfast was fresh and delicious - a vast selection of hot and cold entrees, pastries, wonderful breads, yogurt, etc. - exceptional. 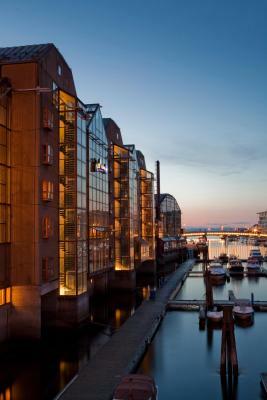 This hotel is VERY nice and in the heart of downtown Trondheim and on the waterway- close to all of the tourist things to do; only a few blocks to walk. 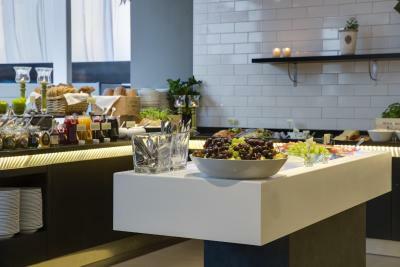 The FREE breakfast was AMAZING with a HUGE selection. The staff were VERY helpful and they had a secured baggage room to store our luggage before check in so we could tour the town in the morning. I highly recommend this hotel! Once checked out and at the airport I realized that I had forgotten a couple of books in my room. I called and the front desk staff were extremely helpful b y going up to the room and checking that the books were still there. They called me back and made everything possible for a colleague to pick them up and bring back to me. Many thank Front Desk Staff!! 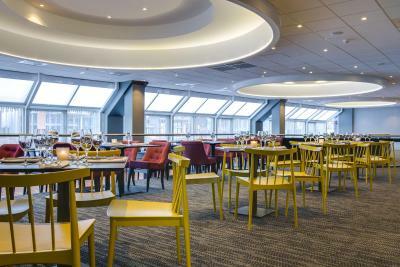 The fitness center, restuarant, and bar were great. The breakfast in the mornings was top notch. Parking right outside. Hotel situated by the water and close to restaraunts and the Cathedral. Comfortable beds. Nice room. Excellent breakfast! 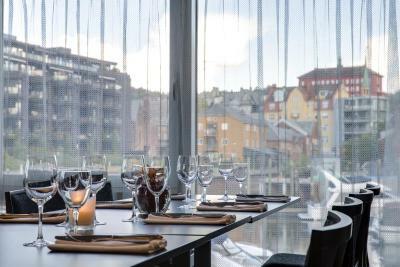 Great location in downtown Trondheim. 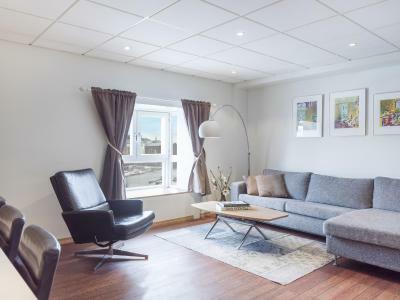 Within walking distance from the main attractions in the city. Nice, spacious rooms. Excellent breakfast. A lot of restaurants and shops nearby. 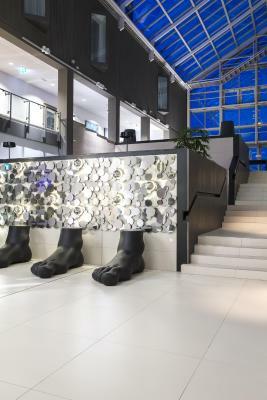 Radisson Blu Royal Garden Hotel, Trondheim This rating is a reflection of how the property compares to the industry standard when it comes to price, facilities and services available. It's based on a self-evaluation by the property. Use this rating to help choose your stay! 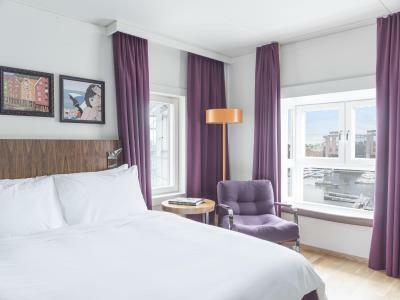 One of our top picks in Trondheim.Radisson Blu Royal Garden Hotel is beautifully located beside the Nidelva River, 8 minutes' walk from Torvet Square. 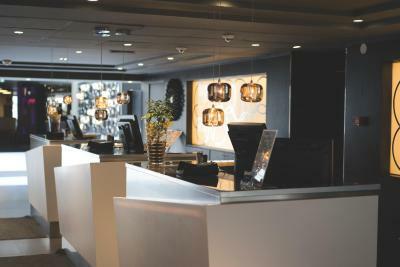 It offers modern rooms with a flat-screen, satellite TV. WiFi is free. 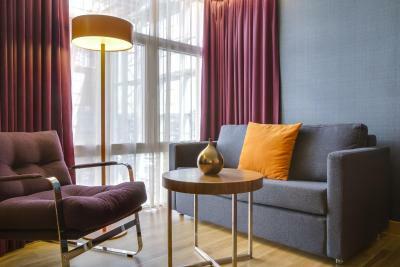 Renovated in 2014, all rooms at Royal Garden feature typically Nordic décor, a mini-bar and trouser press. 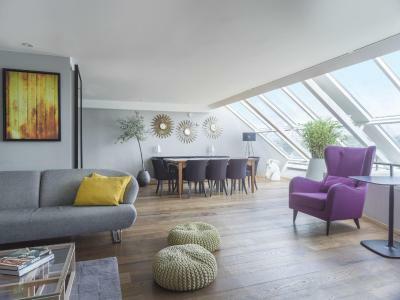 Most rooms have parquet floors. Fresh, local produce is used in lunches and dinners at 73 Bar & Restaurant. 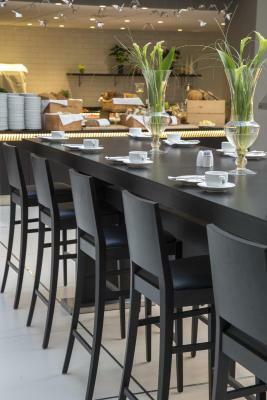 Breakfast is served daily at the Bakkus Restaurant. 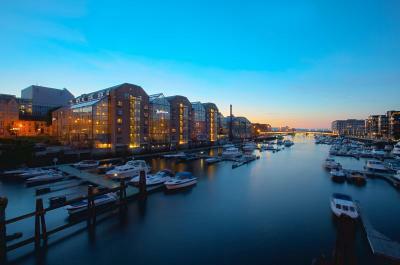 The historic Bakklandet district is an 8-minute walk from the hotel. 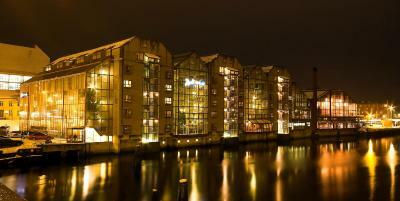 Solsiden is located 1,650 feet away and offers cafés, nightlife and shopping. 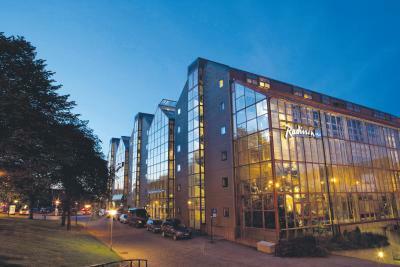 When would you like to stay at Radisson Blu Royal Garden Hotel, Trondheim? Includes a mini-bar, satellite TV and a work desk. 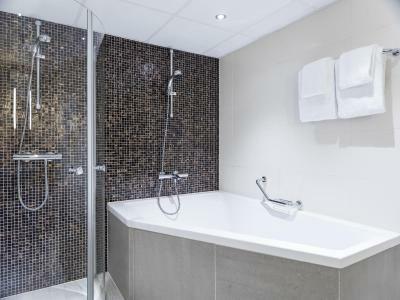 The bathroom has either a shower or bathtub. Please use the Special Requests box when booking to request a room with bathtub. 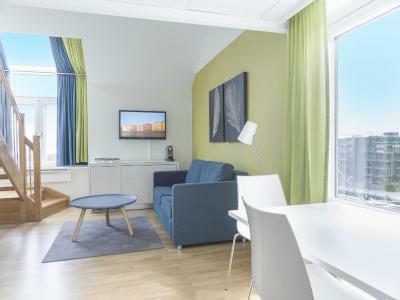 Private parking is available on site (reservation is needed) and costs NOK 340 per day. Includes a Nespresso machine, bathrobes and slippers, in-room breakfast, free pay-per-view TV and newspapers and extra bathroom amenities. Spacious suite that features tea/coffee facilities, bathrobes with slippers, as well as premium movie channels, in-room breakfast and a daily newspaper. 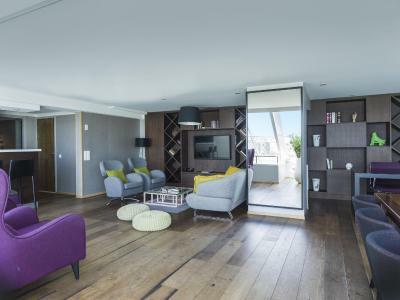 This family room features a electric kettle, mini-bar and cable TV. This double room has a tumble dryer, mini-bar and flat-screen TV. 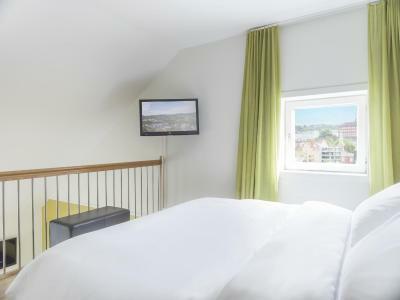 This double room features a view, satellite TV and mini-bar. This suite has a mini-bar, tumble dryer and bathrobe. 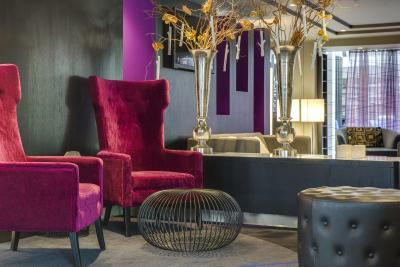 This suite features a flat-screen TV, mini-bar and sofa. 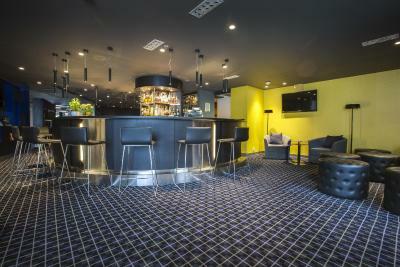 This suite has a seating area, mini-bar and tumble dryer. 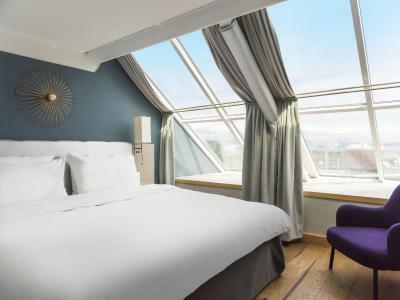 Awash in contemporary elegance, the Radisson Blu Royal Garden Hotel, Trondheim offers premium accommodation on the banks of the Nidelven River. 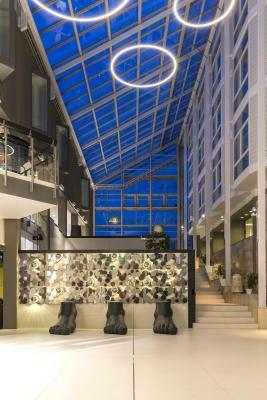 A glass roof allows natural daylight to fill the bright, airy atrium and lush garden, creating a stylish sense of openness throughout the hotel, which underwent an extensive refurbishment in 2013-14. Choose from among 298 sophisticated rooms and suites, all of which feature Free high-speed, wireless Internet and access to our newly upgraded fitness room. 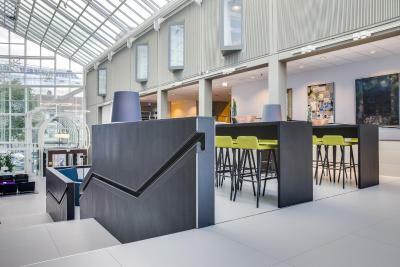 House Rules Radisson Blu Royal Garden Hotel, Trondheim takes special requests – add in the next step! 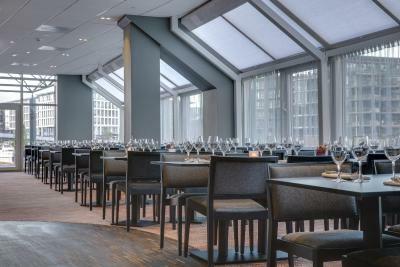 Radisson Blu Royal Garden Hotel, Trondheim accepts these cards and reserves the right to temporarily hold an amount prior to arrival. Bath & shower where not working . Did not get the room I asked for when checking in . Noise from the room above . Must have had baby elephants jumping around all morning and night . The hotel looks tiered , warn out . Can not really think of anything bad about my stay here. The airconditioning was not working well and the room was not warm enough. The good thing is that they gave us a heater when we complained about the low temperature in the middle of winter! The location is excellent and the breakfast is satisfactory. nice surrounding at the river.close to the center. Rooms are cold. Everything else was perfect. 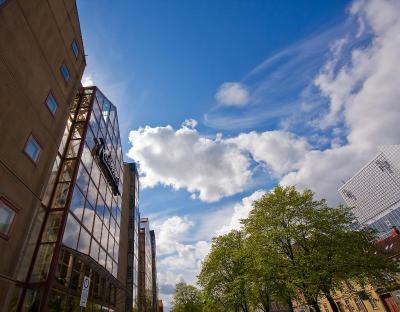 Always stayed at nearby Scandic, will change to Radisson from now on - better service and value for money. Really bad shower,, or shower head, barely any water came out..... oh and also... beer in the mini contained water,, some had drank the beer and replaced it with water... I told the front desk,, they said the would send house keeping up,, but nobody showed up.. The staff bent over backwards to be helpful and to make sure we were happy. 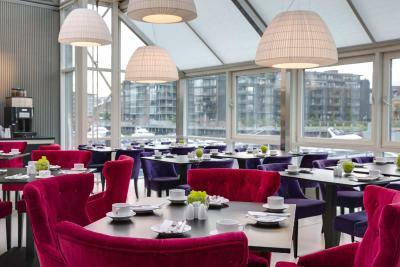 Also the breakfast area looking over the water is amazing, we sat eating breakfast with snow falling all around us. It was amazing. Air in the room was very dry and at 6 am there was noise of people prearing breakfast. After almost one month, I am still waiting for the invoice, In the hotel they said me that I should ask for the invoice to Booking and I am still waiting the answer from Booking.